For any brand, introducing a new product is a big task. There’s a lot you need to communicate: what the product is, how it works, why you care about it, and why you made it. Coming up with a click-worthy new product email campaign is a critical step. 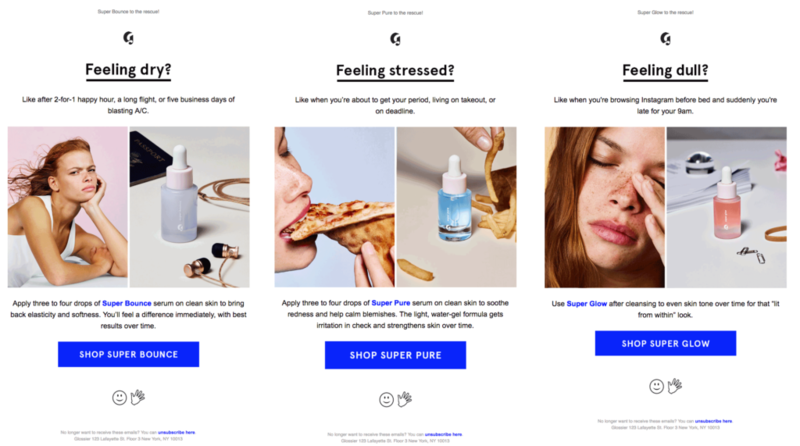 So we were impressed with beauty company Glossier’s new product email campaign around its latest product, “The Supers.” In a series of emails, Glossier builds suspense while introducing and promoting the product in a smart and strategic way. Let’s take a closer look at how Glossier excels at branding, and how its step-by-step process of sending enticing emails. Before we look at the campaign, it’s worth mentioning that Glossier is incredibly intentional and savvy when it comes to branding. “Brand is really, really important,” Glossier’s founder Emily Weiss told Business Insider earlier this year in an article titled, “This beauty startup has become so popular that it has 10,000 people on a waitlist for lipstick.” As you can tell from the headline, Glossier’s intense focus on brand is paying off. The company’s visual identity—geared toward its “generation Instagram” audience—is simple and sleek. It features a central soft pink color, a modern sans-serif called Apercu, and a cheeky, playful tone of voice. Each of these elements comes together in emails that consistently communicate well and look stunning. That’s what makes this brand definitely worth paying attention to. 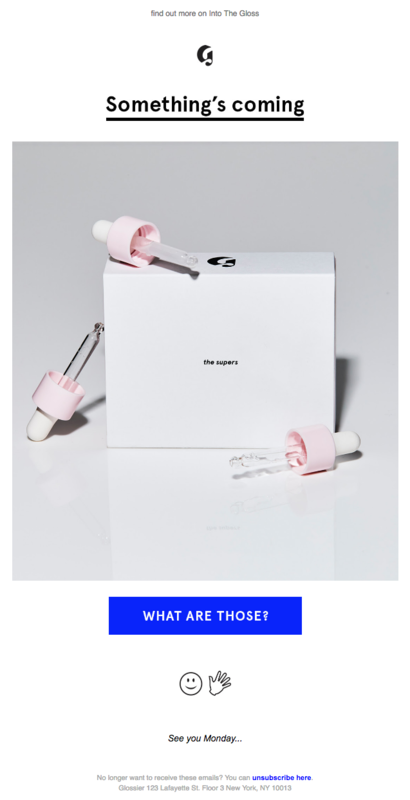 Glossier’s first mention of its new product, a set of face serums called “The Supers,” isn’t actually a mention at all. Take a look at this email, and tell me if you see anything missing. At number 4 in the guide, there’s a missing product. With the eyeball emoji and playful tone (*coughs*), Glossier subtly alludes to the idea that something might be coming soon. But what makes it work is that nothing else is said. The whole point is to be mysterious and prime the audience to keep a close watch on forthcoming emails for more info. 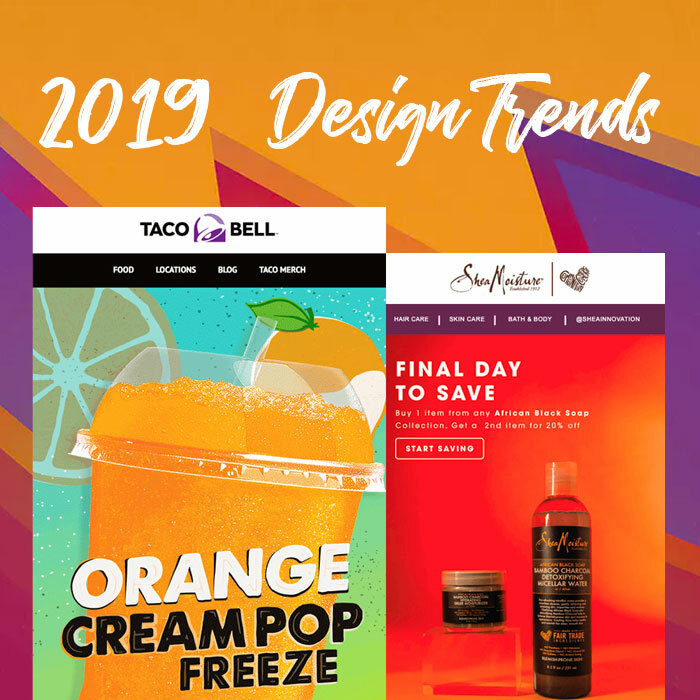 Since there’s no new product yet, the call-to-action is simply to shop the other items featured in its new product email campaign. If readers missed the subtle hint from the previous email, this one says it outright: Something’s coming. There’s still no product on display yet, but it’s obvious there will be one soon (on Monday, per the email’s conclusion). 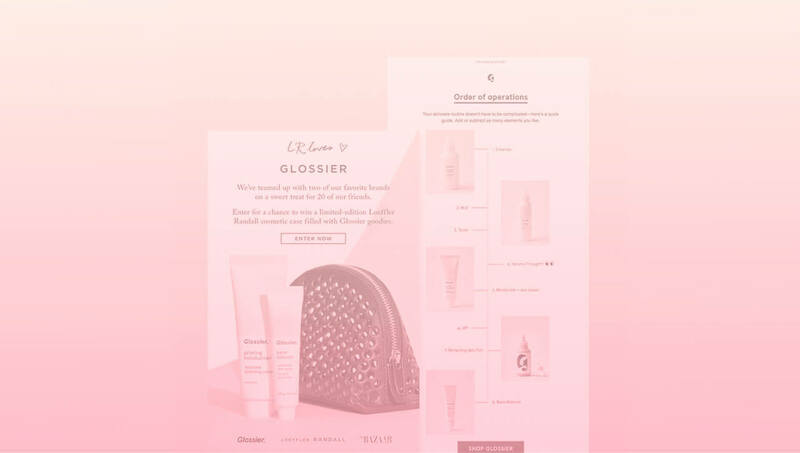 This time, eager readers can find out more—if they click through to Glossier’s blog, Into the Gloss. The email works because it’s startlingly simple. There’s barely any text except for in the subject, header, and CTA button. With just a quick glance, readers get a hint of what’s coming, but with so little information provided, curious audience members have a strong incentive to click through to the website if they want to learn more. The email is short and sweet, letting readers get a taste of The Supers in one central image and a very short description. This isn’t easy for brands rolling out new products. It’s tempting to tell readers why the new product is so great, how it’s different from competitors, what it will do, why the price is right, and lots more. However, Glossier wisely treats this email like a teaser (not a website), and provides just the most important information. Want to know more, or purchase? What you want is just a click away with that bulletproof CTA button. 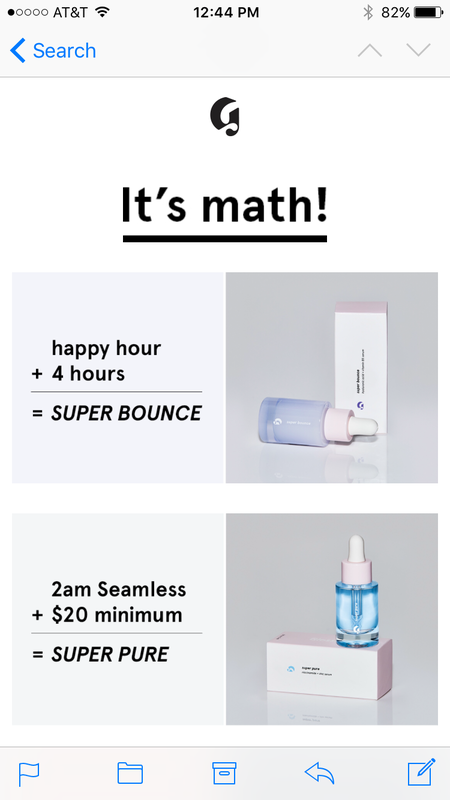 Glossier’s new product email campaign actually features more than one product: there are three. As a result, the brand created a mini-campaign to feature each serum one by one. We’re calling this a “problem/solution” campaign because each email introduces a problem—like feeling stressed—then positions the product as the solution. Each problem is carefully presented in a relatable, relevant way specifically for Glossier’s audience. 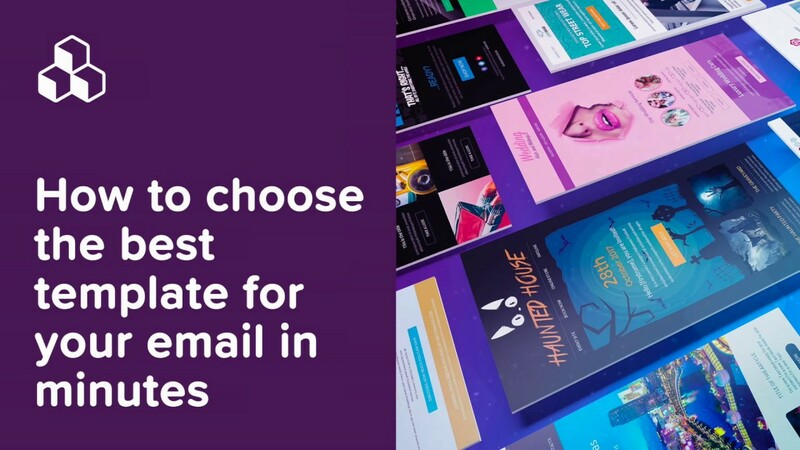 Each email also follows the same format, remains short and direct, and uses a classic inverted pyramid layout to direct readers to the CTA. And, the buttons themselves feature great text (specific to the product) and an eye-catching pop of color. 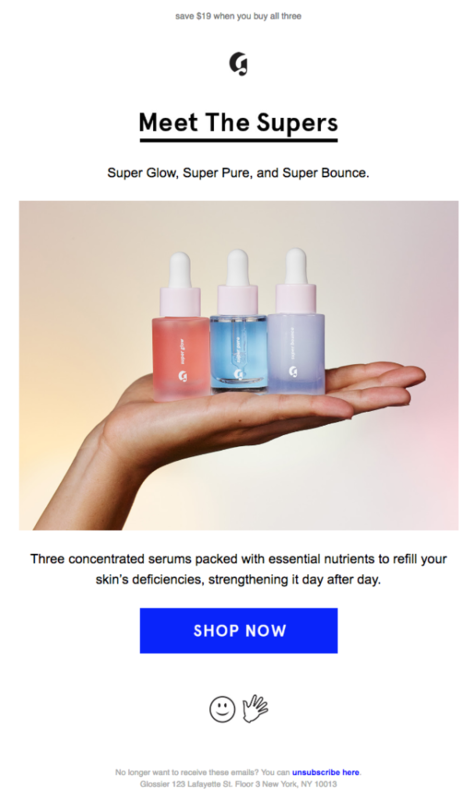 After shining the spotlight on each serum in the mini-campaign, Glossier re-introduces the set of three serums in a roundup of new product email campaign. It maintains the playful tone and concept from the mini-campaign with a simple, highly visual message. Glossier circles back to the concept of its first teaser email—a guide for how to use its products—in an email showing readers how to use the new product in their routine. As the emails build, we can see that Glossier is presenting readers with small doses of information one at a time. 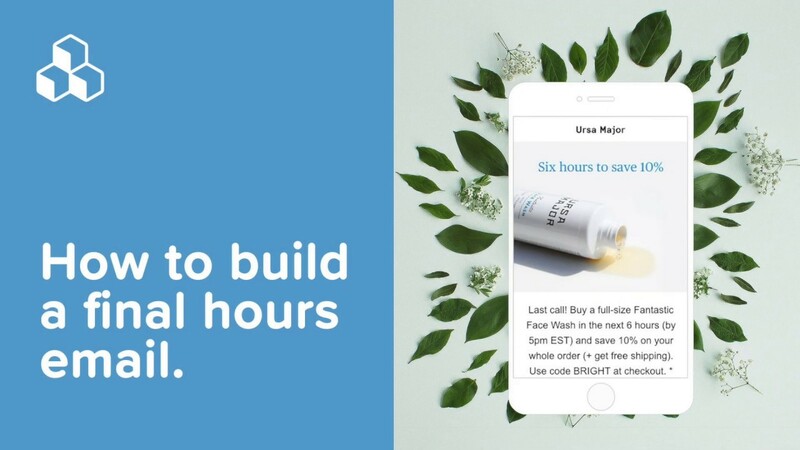 Instead of a long email that dumps product information all in one go, Glossier’s email campaign sends targeted, simple messages one at a time. The last message in Glossier’s new product email campaign features hand-picked Instagram posts. It’s the perfect content to show readers how their peers are already enjoying the product. The curated photos fit within Glossier’s visual brand identity. They’re likely collected by hashtag or @-tag, and each photo gives the user credit. 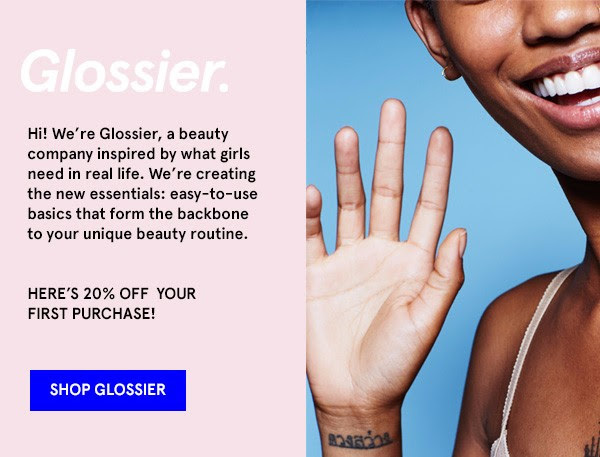 By sourcing content from its own audience, Glossier strengthens a connection with its community, gets access to great content without creating it from scratch, and sends the effective message that the product is popular. It’s a smart, easy tactic that almost any brand can try. 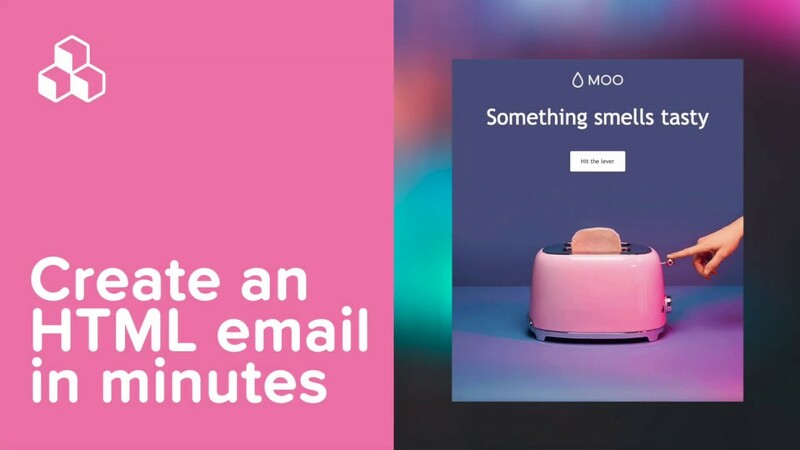 Want to see how another brand sends out a great email campaign? 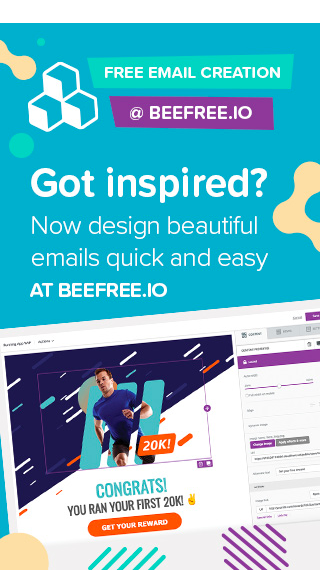 Check out our post about how Fitbit is dominating email stream design. Start slow. Tease your new product announcement in a few emails before making the big reveal. Keep emails short. Intrigue readers enough so that they’ll click through the email to find out more. Create a mini-campaign within the bigger campaign. Does your product have a special feature or solve a particular problem? 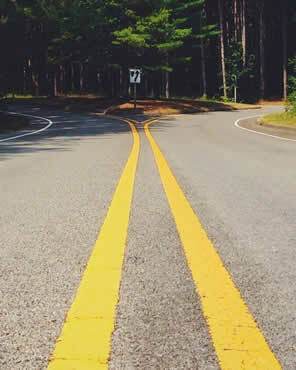 Come up with a unique angle and develop content around it. Show people how to use the product. Let readers see your product in action. Inspire them. Feature user-generated content. This tactic is a great way to involve your community—just remember to always give credit.